Are you tasked with finding the best equipment solutions for your organization? We know having the time and resources to go through a mountain of RFPs (Request For Proposals) is not always realistic. Cooperative contracts help federal, state and city institutions and nonprofits surpass the RFP process by offering a way to simplify this process while guaranteeing that you will get the best price and flexibility to choose your equipment provider. 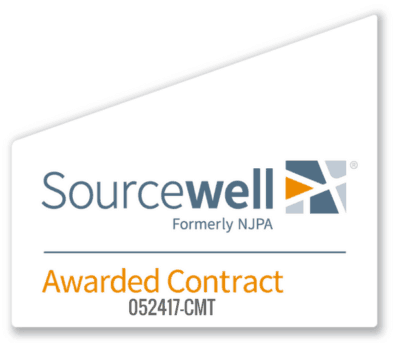 Sourcewell is a government agency that has access to national contract volume pricing and value from nationally acclaimed vendors. This access provides organizations and approved entities with the high quality solutions for projects that require concrete while complying with legal and budget requirements. In addition to being the most competitive solicitation process, Sourcewell contract solicitations give you access to best-in-class solutions. With a Sourcewell contract, you can customize your concrete solution to meet your organization’s requirements. Cemen Tech volumetric concrete mixers were awarded a Sourcewell contract in May 2017 and are the only volumetric mixers that can be purchased through this cooperative. Check to see if your organization is already a member of Sourcewell.